i) Triamcinolone acetonide in carboxymethyl cellulose paste(Adcortyl in orabase, Kenalog), administered 4 times daily.Carboxymethyl cellulose paste acts as the medium of adhesion, so that the medication may stick to the oral mucosa and may not be easily washed off by saliva, the tongue, or water intake. Triamcinolone preparations are popular because neither causes significant adrenal suppression; however, ulcers still recur. 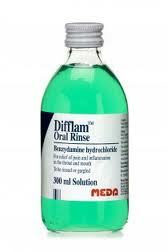 ii) Betamethasone sodium phosphate as a 0.5-mg tablet dissolved in 15 mL of water to make a mouth rinse, used 4 times daily for 4 minutes each time. Betamethasone, fluocinonide, fluocinolone, fluticasone, and clobetasol are more potent and effective than triamcinolone, but they carry the possibility of some adrenocortical suppression and a predisposition to candidal infection. Tetracycline is a type of antibiotic that is taken through swallowing. Apart from being an antibiotic, it also has anti-inflammatory effects. It can reduce the severity of ulceration, but does not alter the recurrence rate. A doxycycline capsule of 100 mg in 10 mL of water administered as a mouth rinse for 3 minutes or tetracycline 500 mg plus nicotinamide 500 mg administered 4 times daily may provide relief and reduce ulcer duration. Avoid tetracyclines in children younger than 12 years who might ingest them and develop intrinsic tooth staining. reduce the severity and pain of ulceration but not the frequency. Anti-inflammatory agents such as benzydamine HCl (Difflam) and amlexanox (a topical anti-inflammatory, anti-allergic drug) may help. If cortocosteroids applied topically does not appear to be effective, systemic corticosteroids can be administered. This is another option in cases where topical corticosteroids do not produce apparent improvements. If RAS fails to respond to local measures, systemic immunomodulators may be required. A wide spectrum of agents has been suggested as beneficial, but few studies have been performed to assess their efficacy. In addition to that, some of them have siginificant adverse effects. Hence systemic agents are deemed the last line of defence or the least favored form of treatment for oral ulcers. Thalidomide 50-100 mg daily is the only treatment the US Food and Drug Administration (FDA) has approved for the treatment of major aphthae in individuals with HIV infection. It is effective against severe RAS, although ulcers tend to recur within 3 weeks. However, teratogenicity, neuropathy, and other adverse effects dissuade most physicians from its use. An elimination diet may help control outbreaks by revealing suspected allergic stimuli that initiate oral lesions. Keeping a food diary can be helpful. A gluten-free diet (gluten is found in wheat, barley etc) helps patients with celiac disease control outbreaks of aphthae. 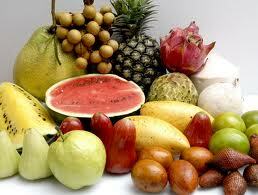 Patients with oral lesions should avoid hard or sharp foods that may gouge existing ulcers or create new ones. Advise avoidance of salt and hot spices to prevent pain from unnecessary aphthae irritation. Some patients report aphthae after exposure to nuts, pineapple, cinnamon, or other agents. If that is the case, the patient should avoid them. Eat cooling foods such as cucumber, papaya, banana, grapefruit, brown rice, zucchini, yoghurt, pears and apples, watermelon.